Rosin is the solid form of the resin, which comes from pines and other coniferous trees. 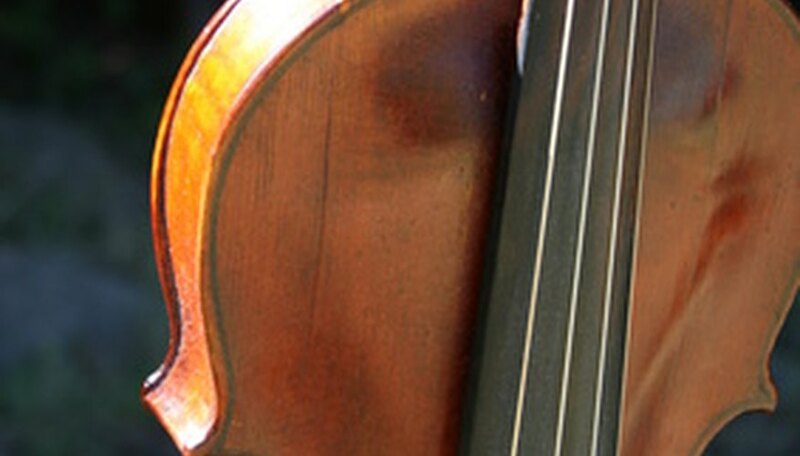 Cakes of rosin are used on bowed instruments to create friction between the bow and the strings. A lighter, powdered cake of rosin is used for violins. Applying rosin to the bow of the violin is a crucial step in achieving the correct sound and prolongs the lifespan of the instrument. Invest in high-quality rosin, and apply it every time you play the violin. Cut crosshair lines in the cake of rosin if this is the first time you are using the cake. Alternatively, you can lightly sand the top of the cake with sandpaper to create a coarse, rough texture. Rub the rosin cake slowly along the hairs of the violin bow repeatedly for five to 10 minutes if this is a new instrument and the first rosin application. Rub the rosin cake slowly up and down the bow three to five times if you have already used the bow, and it only needs a reapplication of rosin. Test the bow on the violin strings to see if it needs more to less rosin. When the level of rosin is perfect, you will hear a clear, clean sounding note. With too little rosin, the sound will be muffled or non-existent, and too much rosin creates a scratchy sound. Add more rosin if there is too little or keep playing if you have added too much. Eventually, you become knowledgeable to the precise amount of rosin to add to your violin, but this is usually achieved by trial and error. Nicole Carlin is a yoga and dance teacher and founder of POP Fizz Academy in Philadelphia. She obtained a Bachelor of Arts in psychology from Temple University and a Master of Arts in gender and sexuality, politics from Birkbeck University, London. Carlin has written about dance, crafts, travel and alternative health for eHow, Trails.com and Demand Studios.